You must make reservations at least 5 minutes in advance of the time at Songkran Thai Kitchen - Galleria. Songkran offers complimentary valet service at dining hours. Street parking is also available right outside the restaurant. We will help make your event extraordinary at an offsite location of your choice. Chef Jett and our events team will create a customized menu based on your vision. We also provide bartenders and complete staff to make your celebration or event an experience you will never forget. Our authentic Thai fare and exceptional service are ideal for a wide range of events. Songkran Thai Kitchen, located in Uptown Park, is known for its authentic and fresh Thai cuisine. Culture Map Houston Rated it As One of the "10 Must Try Restaurants." 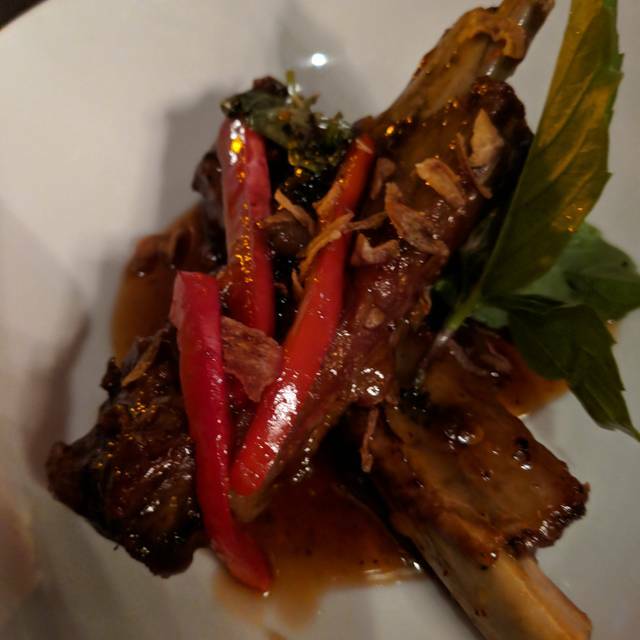 At Songkran, we value the robust, fresh flavors of traditional Thai cuisine, and deliver extraordinary tastes and textures, whether savory or sweet, in all the dishes we create. Few of our signature dishes are Heavenly Beef, Crispy Red Snapper, Pad Thai and Green Curry Chicken with Thai Basil, to name a few. Drinks, you say? Cozy up to the fully-loaded bar, boasting a dynamic wine, liquor and signature cocktail list! Songkran is a celebration of food, drink and camaraderie in an upscale atmosphere! Better than I had experienced before. This is an excellent place. 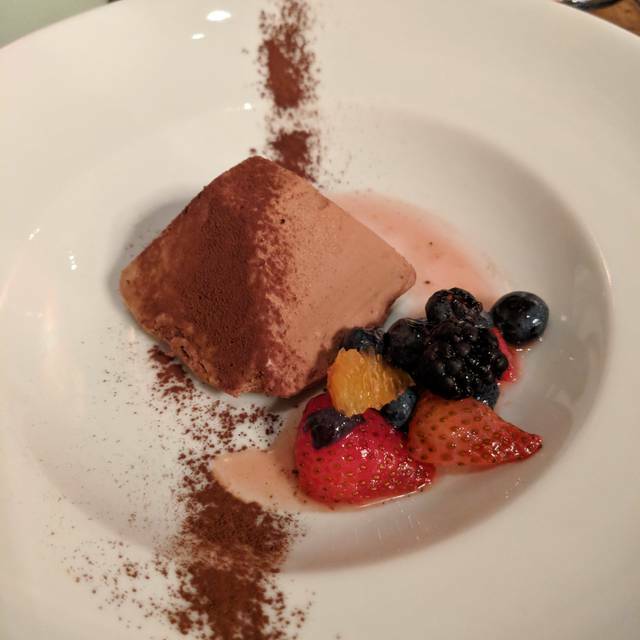 Loved the food and the excellent service! Tucked into quiet spot in Uptown. Very nice outdoor seating plus nice ambience indoors. Recommend if in the area. Great food and service, but I came for the lobster and shrimp dish I love! They stopped carrying lobster?! Why!? Great food, cool vibe. Lounge tunes and modern decor set the scene for a great date night or just yummy Thai food with friends/family. Creative cocktails with Asian twists complement a wide array of starters to share. Authentic mains are enticing and also difficult to choose just one! Food is served steaming hot and is beautifully presented. Bangkok fish is a hit out of the park! Spicy and delicious. My niece enjoyed her Pad Thai, too. We have added Songkran to our short list of regular spots. This was my first time to visit Songkran and I can’t wait to go back. Great food, some of the best Thai have had in a long time. Wonderful food and really friendly service in a cute restaurant. Very good service and food was high quality. Everything was delicious. Our server was delightful. 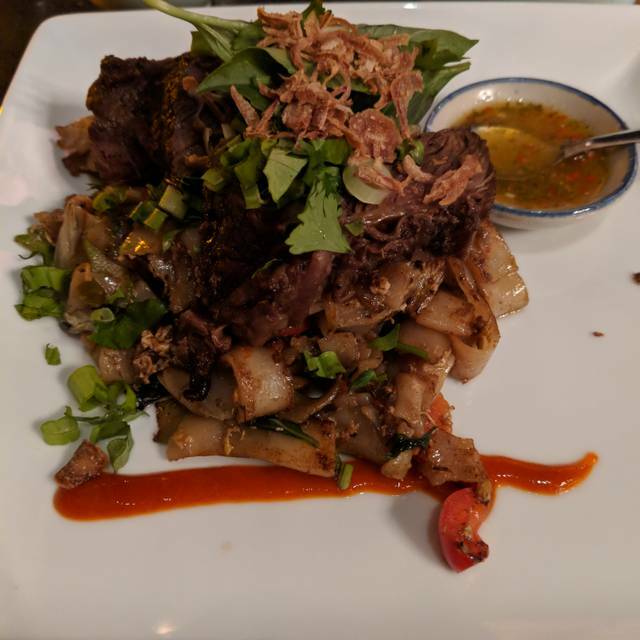 I highly recommend Songkran Thai Kitchen! Great Thai cuisine. I love the curry dishes, red fish and the vegetable soup. Healthy portions and the spices are as spicy as you select. Price/Quality is very good. The service is excellent. The food was diverse, overall good but some plates were too spicy. Love this place for Thai Food. Love the artful atmosphere. The food is always fresh and as much spice as you like. With spice comes the need for lots of water and our glasses were always topped off. Love the Tom Kha Gai soup as well as the Crispy Duck soup. While the ambiance and the service were really good, It was very difficult to have a conversation. The noise level was pretty loud and everyone at the table had to speak above a normal level in order to hear each other or had to move close together in order to speak. As for the food, it was pretty good. Out of 3 dishes, a veggie pad thai, tofu Kang Kari, and a Kang Phet Ped Yang all served medium spicy, we only enjoyed two. The Pad Thai was not very flavorful and was pretty mild. The other two though had a really nice spice level that was not overbearing but made the dishes really stand out. We will definitely be back for the Tofu Kang Kari, but the Pad Thai left us desiring more. The dessert we got was the lychee and jackfruit creme brulee and this is something we found different and really enjoyable. We just wish there more on the plate! Delicious Thai food and excellent service. Our server made suggestions with which we were very pleased. Always enjoy Songkran Thai. The soup with chicken and coconut milk is phenomenal. Always great food and friendly staff. We were seated immediately and the waitress was very helpful making recommendations and frequently checked up on us. Highly recommend! Everything was great!!! will be back whenever I am in the area. My wife and I both had a soup as appetizer, Tom Kha Gai and the Tom Yum Goong. Tom Yum is pretty much the best soup on earth so I already had expectations going in. They did not disappoint! We had never tried Tom Kha Gai before and it was amazing. Hard to describe the flavor- delicate yet very flavorful. After the soups, my wife had the Pad Thai which she loved. I had the Poh Taek which was also new to me and I thought it was great. The fish and prawns were perfect. I had a few Chang beers and the wife had a drink called Red Lotus that she loved. I can’t recommend this place enough. We will be back soon. First time there and it was great! Will be back. Loved the vibe, food and ambience. Staff was slightly too quick to pick up dishes - felt a little rushed and restaurant was not full. Otherwise great experience. Delicious food and great service! Will definitely go back! Not a good restaurant for Vegetarians. Not much of a Vege friendly menu. Expected a very authentic thai food and taste, but was a little disappointed. Awesome for lunch or diner. Great food. Great atmosphere. My first experience with Thai food was terrific. Food, service and overall environment were excellent. I will definitely be back. Our go to in the neighborhood for great food. Always attentive and polite service. Wish the portions were larger. We had dined at the Sugarland location many times and I preferred their space and menu better. I was disappointed they were out of two white wines I tried to order and no vegetarian menu(I saw one online)but they can accommodate veges by taking animal protein out of some dishes. Accommodating service and nice decor. Excellent food and great ambiance - really enjoyed it! It's got a creative menu for Thai food and is a step above the usual NitNoi knock-off drill. All of the food was really good. We especially enjoyed the short rib, and the lettuce wraps were way above par. That said, I'd be a little surprised if it's around in a few years, especially at this high dollar location. The service was mediocre at best, primarily due to a language gap, but they can fix that. I just don't see it getting the buzz it'll need to keep paying that rent, and that rent is only going to go higher as they finish pimping out Uptown Park. The faux-Thai decor feels a tad hackneyed, and the crowd was surprisingly dead for a Thursday night. Even post NitNoi, I can still get really good Thai food for a lot less money, and in general I think the Thai food craze is pretty much over. It's unique and way above average, but probably not good enough to compete at this level in this part of town. Maybe they'd be better off at a slightly lower price point in a different location. This market is just too competitive. Maybe they should try The Woodlands. There's not much good Thai up there, if any. They'd kill it up there. Kill it. We paid $20 for a glass of wine, stopped at HEB on the way home and bought a bottle of the same wine for $28. I honestly don't know whether that degree of markup is egregious or somewhat common, but I do know that it's a tad irksome. Excellent food, decor and service. We dine here on a regular basis. We both enjoyed the special menu they had for Houston Restaurant Month. We also sat at the bar and enjoyed our conversation with the friendly bartender. Food is excellent.....rare to find Thai food of that quality and the ambience was cozy and a little bit elegant.